Maximize your wedding day style by choosing a dress that looks great in real life and in your wedding photos. While a wedding dress might look beautiful on the hanger, photographs can tell a different story. If you want your dress to look stunning in your wedding photos, it’s important to search for a dress that looks great in person and on camera. Here are a few easy ways to ensure that your big day will be recorded in style. Whether you’re opting for a voluminous princess dress or a more subdued silhouette, your wedding gown will require yards of fabric. Many inexpensive wedding dresses are made of synthetic fabrics, and those don’t always photograph well. If you can afford it, try to find something that isn’t made out of polyester. Instead, when searching for a designer wedding dress in Columbus, look for gowns made out of silk and other high-end materials. Matte fabrics are also ideal for photographs, as super shiny materials tend to catch too much light. White is classic, but that doesn’t mean it’s mandatory. 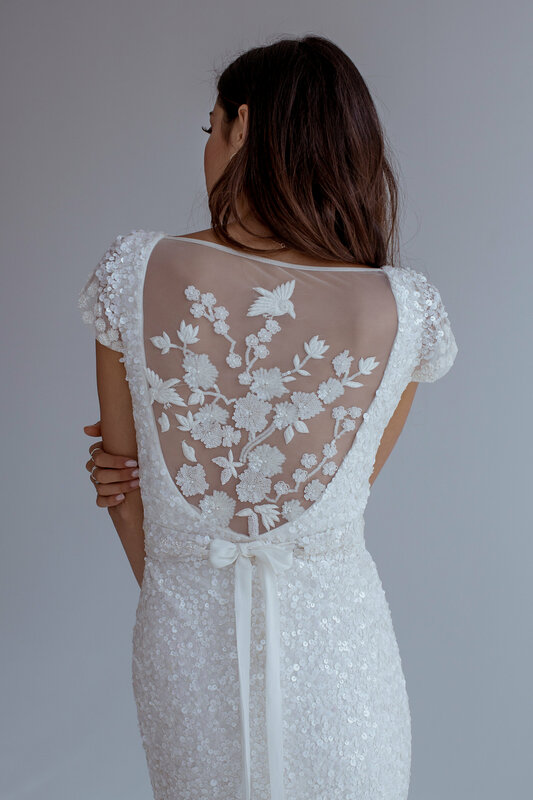 Pure white doesn’t photograph well, and it obscures many of the details that wedding dresses are known for, from intricate lace to beautiful beading. Instead of choosing a harsh, bright white, choose something a little bit softer. Cream and ivory tend to look better in photos, and they complement a wide range of skin tones as well. It’s your big day, and you may be tempted to wrap yourself in tulle and drape yourself in jewelry. If you have too much going on, though, it can end up being distracting in photographs. Instead of choosing a dress with ruffles, beading, and illusion netting, try to streamline your wedding day look. Consider choosing a focal point and designing your outfit around it. Maybe your dress has handmade lace sleeves, or perhaps you’ve decided to wear an antique pearl headpiece. Build your ensemble around these focal elements. Subtlety photographs better than excess, and if you ditch a few unnecessary elements, you’ll be glad you did by the time you open your wedding album.